The Original 1933 Classic in Glorious Black-and-White, Newly Restored, and Digitally Mastered! Robert Armstrong stars as movie producer Carl Denham who travels to a mysterious, uncharted island in search of material for his next film. Also aboard are unemployed actress Ann Darrow (Fay Wray) and adventurer Jack Driscoll (Bruce Cabot). Once the crew reaches Skull Island they discover it is home to prehistoric beasts including Kong, a giant ape who becomes obsessed with the crews blonde starlet. King Kong teems with memorable moments, from the audiences first glance at the giant ape to his last stand atop the Empire State Building. And then there were two! With this release of 1933’s King Kong, only two movies from the AFI 100 remain unavailable on DVD: 1927’s The Jazz Singer (#90) and 1951’s The African Queen (#17). Clearly they won’t make it out in 2005, but with a little luck, in 2006 we’ll finally have all 100 films out on DVD. According to press materials, Kong was Warner’s most requested title. That makes one wonder what took them so long to put out the DVD, though the disc’s timing isn’t coincidental. The disc hits the shelves 22 days before Peter Jackson’s remake reaches movie screens, so clearly Warner wants a little of that old marketing synergy. Nothing wrong with that, of course, and fans will be happy to finally get the flick on DVD. At the movie’s start, we meet adventurous movie mogul Carl Denham (Robert Armstrong). He creates big spectaculars but gets criticized because he never features a love interest. He decides to change this and bring a babe onto his new project, but none of the New York talent agents will supply an actress. Denham keeps the location of his new flick a big secret, and given his history, the agents think it’ll be hazardous to the health of their actors. Undaunted, Denham searches the streets of New York for an unknown. She finds needy would-be shoplifter Ann Darrow (Fay Wray) and immediately hires the beauty for the job. This doesn’t sit well with some of the crew on the ship Denham hired to take him to the secret location, and first mate Jack Driscoll (Bruce Cabot) gripes most vociferously about her presence. However, he soon changes his tune when romance blossoms between him and Ann. Eventually the ship reaches its hidden destination: an island essentially left behind by civilization. Denham knows of a legendary beast called Kong, and he plans to use the monster as a character in his film. When he and the crew come onshore, they encounter a native ritual. The locals plan to sacrifice a girl as “Kong’s bride”. However, Denham and the others interrupt, which apparently ruins the ceremony. The natives’ solution? To use Ann as Kong’s mate instead. Understandably, Denham turns down this offer, but the locals won’t take no for an answer. They later sneak onboard the boat and kidnap Ann. This leads the crew on an adventure to rescue her. They encounter all sorts of amazing wildlife during this pursuit. Denham eventually captures Kong and takes him back to New York to be a stage attraction. This doesn’t go well. Some older films still earn respect as groundbreaking efforts but don’t entertain very well anymore. Take the 1953 War of the Worlds, for example. It helped move along the state of the art in visual effects for its day, but the movie seems almost unwatchably stiff and flat to me now. Kong possessed the same threat. Actually, the dangers increased given the film’s age. Visual effects were primitive in 1953, but they were downright prehistoric in 1933. Do the visuals of Kong stun now like they did 72 years ago? Heavens no. The chances of someone watching the movie today and being as dazzled with the material as they would have been in 1933 are slim and none. That said, I still felt impressed with the effects, largely because of their age. Some notable exceptions occurred, but quite a few of the elements looked surprisingly convincing. Hmm… I suppose “convincing” probably isn’t the best term to use, as I never truly wondered how they did an effect or thought anything seemed realistic. However, quite a few of the bits were considerably more believable than I expected. In particular, Kong boasted some solid composite work. The movie placed humans in the same shots as puppets with good results. Unfortunately, the filmmakers occasionally got carried away with this technique. They seemed so happy to use this method that they overdid it; almost any puppet shot also included a human element even when this was unnecessary and a distraction. A little of this technique went a long way. I can’t complain about the results, though. Like I mentioned, I never forgot that these were puppets, but I felt impressed with the manner in which the filmmakers meshed them with the humans. Those shots worked well and gave the flick an interactive quality that made it more effective. The most problematic effects stem from some shots of Kong himself. The motion of the puppet isn’t bad, but the way in which his fur ripples becomes a distraction. Don’t take this as a serious complaint, as I understand the limitations of the era’s effects, but it does become a concern in this day and age. Another positive surprise comes from the level of action found in Kong. I’d not seen the flick in years, and I didn’t recall it as having a lot of excitement in the Skull Island sequences. I was under the mistaken impression that most of the mayhem occurred when they got back to New York. Happily, that’s not the case, as lots and lots of action takes place on the Island. The movie pours on all sorts of great set pieces via the Island’s many prehistoric inhabitants. These work marvelously as we get carried away by the various battles, especially when Kong takes on a T-rex. I suppose King Kong maintains its legendary status largely due to its pioneering effects work. That doesn’t make it a museum piece, however. 72 years after the fact, it remains a lot of fun. It’s a popcorn movie in the best sense of the word. 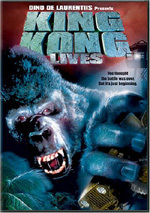 King Kong appears in an aspect ratio of 1.33:1 on this single-sided, double-layered DVD; due to those dimensions, the image has not been enhanced for 16X9 televisions. Despite some moderate flaws, the movie generally looked pretty good. Actually, given the age of the material and its complexity, this was a nice presentation. The film featured many complicated effects shots, and those created quite a few possible concerns. Despite those issues, the film usually remained attractive and well-rendered. Sharpness mostly came across well. A few shots seemed slightly ill-defined, and not always for obvious reasons. I understood a loss of resolution in some of the effects shots, but some without any visual complications also looked iffy. Nonetheless, the majority of the flick appeared nicely distinctive and detailed. I noticed virtually no issues with jagged edges or shimmering, and edge enhancement was minimal. Blacks looked tight and deep, and contrast seemed solid. Print flaws were quite minimal for a movie of this one’s vintage. The biggest distraction came from grain, which could become moderately heavy. Otherwise, source issues stayed minor. Some shots exhibited light spots, and a few showed thin lines or small hairs. That was about it, however. Most movies made in the early Thirties look considerably dirtier, so this one’s restoration impressed. A few too many issues occurred for me to give Kong a grade above a “B”, but I still felt pleased with the transfer. In addition, King Kong presented a more-than-adequate monaural soundtrack. Nothing about the audio excelled, but it seemed solid for its age. Speech demonstrated pretty positive clarity and appeared reasonably natural. Some lines were slightly edgy, but the dialogue didn’t seem too thin and shrill. Effects were acceptably clean and accurate; they didn’t demonstrate much range, but they lacked much distortion and were fairly concise. Music seemed similarly restricted but sounded fine for its age. The score was reasonably full and replicated the source material acceptably. Only a little light background noise cropped up during the movie. For a 72-year-old movie, this was a perfectly solid soundtrack. When we head to the set’s extras, we start on DVD One with an audio commentary. This presents remarks from visual effects veterans Ray Harryhausen and Ken Ralston, actor Fay Wray, and producer/director Merian C. Cooper. Harryhausen and Ralston sit together for a running, screen-specific chat; notes from Cooper and Wray emanate from archival materials and are interspersed throughout the flick. On paper, it sounds like a good idea to pair Harryhausen and Ralston, but the actual results are less interesting. Much of the time they simply gush about how much they like the movie. They reflect on some of its participants and the techniques used to make the flick, but most of the time they just talk about how great Kong is. The archival remarks prove more illuminating. Cooper is especially interesting as he discusses his career and aspects of the Kong production. He doesn’t pop up as often as I’d like, but when he appears, he gives us fun glimpses of the film. Wray plays only a minor role, as she shows up just twice. Both occasions are brief and forgettable. I’m not sure why the DVD’s producers even bothered to include Wray since she says so little. All of this adds up to a decidedly disappointing commentary. The main participants usually do little more than act like fanboys as they praise the movie; they offer surprisingly little insight. Cooper’s notes are more valuable but too infrequent, while Wray’s are completely useless. A classic like Kong deserves a better commentary than this dud. In addition, DVD One includes a Merian C. Cooper Trailer Gallery. It features promos for King Kong, 1933’s Son of Kong, 1933’s Flying Down to Rio, 1948’s Fort Apache, 1948’s 3 Godfathers, 1949’s Mighty Joe Young, 1949’s She Wore a Yellow Ribbon, and 1956’s The Searchers. 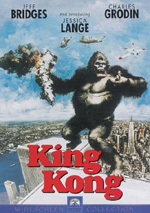 Moving to Disc Two, we open with a documentary entitled “I’m King Kong! The Exploits of Merian C. Cooper. This 56-minute and 55-second program offers a collection of movie clips, archival materials, and interviews. Narrated by Alec Baldwin, we get taped comments from Cooper himself and his partner Ernest “Monty” Shoedsack. We also hear from Wray, Harryhausen, actors James Karen, Harry Carey Jr. and Terry Moore, film historians Rudy Behlmer and Paul M. Jensen, Cinerama Adventure writer/director David Strohmaier, Merian C. Cooper Collection curator James D’Arc, Cooper’s godson Ted Curtis Jr., biographer Mark Cotta Vaz, writer Ray Bradbury, film collector Bob Burns, visual effects supervisor Craig Barron, Disney animation artist James Mansfield, David O. Selznick’s son Daniel, and Flying Tiger ace Brigadier General David “Tex” Hill. As implied by the title, “Exploits” looks at the life of the Kong producer/director. We learn about his early years and military exploits, subsequent adventures and his move into movies, his “nature” flicks and cinematic innovations, his work in aviation, making Kong and film work after that, personal matters, activities during World War II, working with John Ford, creating Mighty Joe Young, and his involvement in Cinerama. A thoroughly terrific program, “Exploits” digs into Cooper’s life with gusto. It provides a nice overview of the important topics but doesn’t skimp on details. I especially like the glimpses of how Cooper’s real-life adventures and relationships were paralleled in Kong. This documentary offers a rich and informative take on its subject. Next comes another documentary. RKO Production 601: The Making of Kong, The Eighth Wonder of the World goes for a whopping two hours, 38 minutes and 45 seconds. It offers notes from Behlmer, Burns, Vaz, Barron, Harryhausen, D’Arc, Wray, Cooper’s friend Rich Correll, Spawn of Skull Island author Doug Turner, stop motion animators the Chiodo Brothers, film historian/author Ron Magid, director of VFX photography Alex Funke, director/visual effects supervisor Randy Cook, Weta Workshop creative director Richard Taylor, special makeup effects artist Rick Baker, director/visual effects supervisor Phil Tippett, stop motion animation producer Michael Pellerin, stop motion animator Graham Binding, matte painter Michael Pangrazio, sound designer/editor Ben Burtt, composer/music historian John Morgan, sound effects artist Murray Spivack, film music historian Jon Burlingame, Weta puppet design and fabrication Shaun Bolton, Weta sculptor Bill Hunt, sound effects editor David Whitehead, sound designer Mike Hopkins, music editor Nigel Scott, “Ain’t It Cool News” webmaster Harry Knowles, and filmmakers John Landis, Peter Jackson, Frank Darabont and Joe Dante. “RKO” starts with a quick look at Cooper’s life and experiences that influenced Kong as well as notes about collaborator Ernest “Monty” Schoedsack. We see their adventures and the movies they made prior to Kong. Next we get notes about the life of visual effects artist Willis O’Brien and his work including the abandoned Creation. Using artwork and narration, “RKO” presents a dramatization of what Creation might have been if it were completed. From there, O’Brien’s path intersects with Cooper’s and we head toward Kong. The show covers the creation of a test reel as well as the dual production schedule along with The Most Dangerous Game. Next we learn about the development of the script, casting, locations and sets, shooting the film, and editing. 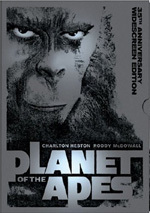 A substantial look at the visual effects follows this; it includes a recreation of the animation techniques, an analysis of the Kong puppet, notes about matte painting, and photographic techniques. After that the show digs into sound effects, score, and their integration. As the program nears its close, we learn about the 1938 Production Code cuts, deleted scenes and a modern recreation of the lost spider sequence. Finally, “RKO” looks at the movie’s release, its success, and its aftereffects on the business and those involved. If forced to complain about “RKO”, I’d gripe about the lack of information about the shoot itself. The program zips through formal production rather quickly and concentrates heavily on the technical elements. I’d have liked a little more information about the actors and that side of things. However, I need to remember that this movie was made more than 70 years ago, so it’s not like the documentary’s producers have easy access to those involved. Besides, its main legacy comes from its technical importance, and "RKO” delves into those issues with terrific detail. We get a wealth of detail about the visual elements and also learn quite a lot about the other topics. This adds up to a vivid and informative piece that nicely delineates most things Kong. Two additional components finish off Disc Two. The Lost Spider Pit Sequence runs five minutes and 57 seconds. This presents the recreation of this scene created by Peter Jackson and his crew. If you watched the documentary, you already saw this. Still, it’s nice to have in its own little section here. Finally, we get the Original Creation Test Footage with Ray Harryhausen Commentary. In this four-minute and 55-second piece, we see clips initially created for an abandoned flick called Creation. Some of this appears in the documentary, but I like that we can see more of Willis O’Brien’s seminal work. Harryhausen gives us some background about the shots along with other notes about O’Brien and his material. Harryhausen adds good insight into these snippets. Still a wild ride after more than 70 years, King Kong holds up surprisingly well. Inevitably, it shows its age in some ways, but these don’t alleviate its excitement and drama. The DVD presents good picture and audio for a movie of this one’s vintage. As for the extras, the audio commentary is a serious disappointment, but the other components more than make up for its deficits. Kong belongs in the collection of every movie fan. Pursestrings note: you can buy King Kong in three different ways. This review covers the “standard” two-disc special edition that retails for about $27. There’s also a “Collector’s Edition” that lists for about $40. It includes the same 2-DVD set along with a collectible tin and some paper materials as well. 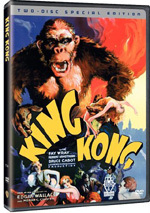 Finally, you can get “The King Kong Collection”, a four-DVD set that features this same 2-disc Kong along with Son of Kong and Mighty Joe Young. It retails for around $40, which makes it a steal if you’re interested in the other two movies – or just one of them. Those sell for $20 on their own, whereas this set gives you both of them for a mere extra $14. That sounds like a very good deal to me, so the “Collection” is probably the most appealing of the three renditions of Kong.